Excitement is at an all time high as we get ready for the 2019 Coca-Cola Games, and the question that many people are asking is whether the 100 metres record times set by Pacific Sprint King, Banuve Tabakaucoro can be beaten. While speaking on our fijivillage.com new sports show, Play, Tabakaucoro says he believes that his 100 metres records in the games will not be beaten anytime soon. However he says his records can only be broken if the athletes with raw talent are developed well. 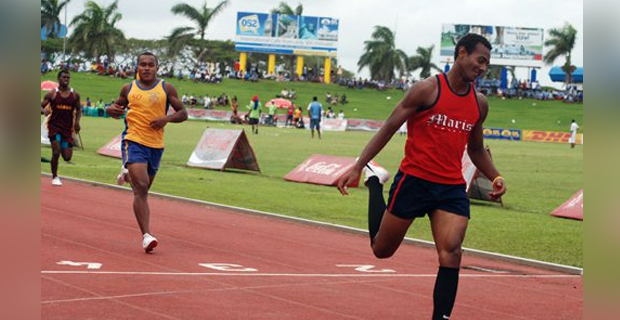 Tabakaucoro set the record time of 10.43 seconds while running for Marist Brothers High School in the Senior Boys 100 metres in 2011, while he set the record time of 10.71 seconds in the Intermediate Boys 100 metres in 2009. He also holds the records of the Senior and Intermediate Boys 200 metres events. His record in the Intermediate 200 metres event is 21.70 seconds while his record in the Senior Boys is 21.04 seconds. 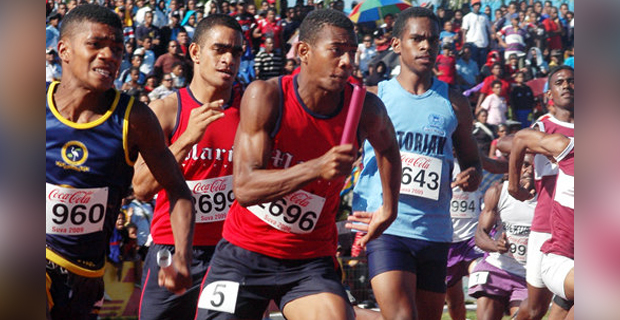 Looking at the manual times run by some of the senior athletes in this year’s zones - RSMS’s Vereniki Koroi has run a time of 10.71 seconds, Kolinio Radrudru of RKS has run a time of 10.95 seconds, Marist’s Viliame Rekitilako clocked a time of 10.98 seconds while Natabua’s Nemani Mudrelagi ran a time of 11.25 seconds. The 2019 Coke Games will be held from next Tuesday till Thursday at the ANZ Stadium. Meanwhile you can watch the full episode of fijivillage.com’s new sports show, Play, later today.